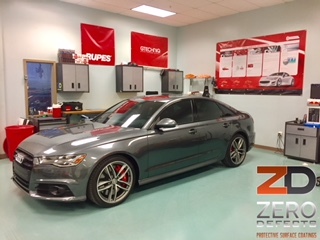 Zero Defects is referring to absolute perfection in your paint work. Paint correction is truly an art. 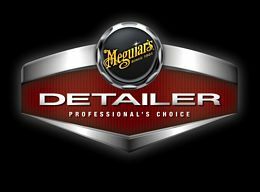 We offer our customers a higher level of detailing that is not normally found from your every day detailer. This level of precision work is only performed by masters of their craft & takes years to master. A controlled environment is also required to perform this lengthy process. 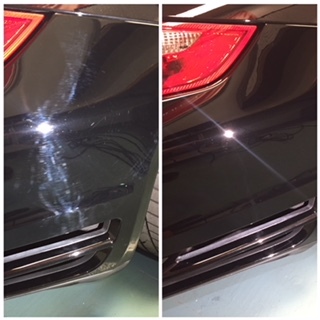 Paint correction is the process of machine polishing the paint to remove defects such as swirls, RIDS (random isolated deep scratches), holograms & buffer trails, fine scratches, bird drop & acid rain etching. The actual corrective process itself comprises of a small amount of clear coat or paint being removed from the surface with the use of abrasive polishes, which are applied and worked in with appropriate polishing machines, in order to level out the surface. Revealing a true and proper, clean, sharp, reflection. Before any paint correction is undertaken, a thorough wash and decontamination of the vehicle is performed. The vehicle is properly washed and cleaned to remove any loose dirt and debris. Then the paint is treated with a clay bar, which safely removes any bonded surface contaminants such as rail dust, brake dust, industrial fallout, tree sap, road tar, bug residue, paint overspray, and acid rain deposits. The polishing is a multistage process as a range of different grades of polish are used, ranging from heavier cutting compounds, which remove surface defects, to finer products which then remove any hazing that the heavier products may have inflicted and generally refine the finish. 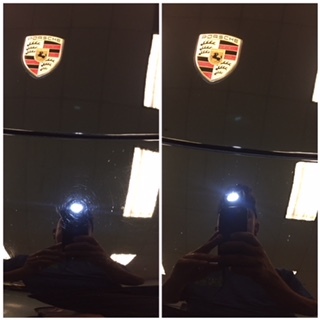 Paint correction is a very labor intensive process and is the most time consuming part of the car detailing process. Usually taking on average 8-20 hrs of machine polishing per vehicle. Consequently, it commands high premiums from professional detailer’s, amateurs & enthusiasts should not attempt to correct their own paintwork. The difficulty that this level of perfection takes to achieve requires a controlled environment. We have a small paint correction & coating shop located in Buford, GA. 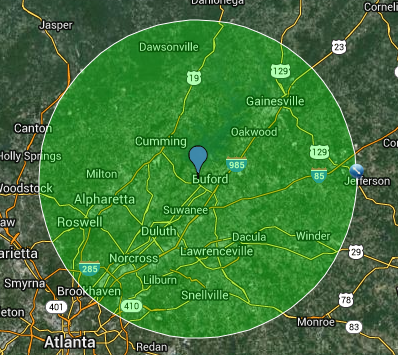 The address is 1525 Broadmoor Blvd, Buford GA 30518. This allows us to be out of the elements for extended periods of time where we can control the lighting, temperature & humidity. Our paint correction packages are usually followed with a ceramic coating which generally needs 12 hrs to fully cure without any moisture. 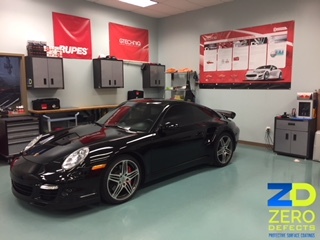 This small shop allows us to store your vehicle in a safe place for as much time as needed. We share a shop with Allsouth Autosports which specializes in automotive customization such as wheels, tires, suspension mods, tint, audio, etc. If there are any mods you are interested in consult with us for scheduling while we are working on you car. 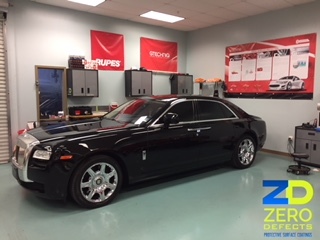 Please see our Zero Defects level 1 & 2 packages for pricing on our paint correction process and also our Ceramic coating packages as well.